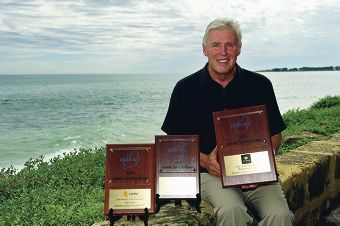 Marmion Angling and Aquatic Club manager Robert Weir with the club awards. Over the next two weeks, parents and citizens associations and principals in the Victoria Park as well as some in the South Perth electorates can expect to receive a discussion paper from Mr Wyatt. My Wyatt spoke to State Parliament last week about the paper he had prepared asking for a local discussion around several ideas, in particular the development of a new primary school on Millen Primary School’s grounds and the idea of combining Kent Street Senior High School and Como Secondary College. He said since 2009 there had been a 65 per cent increase in student population at Millen Primary School but very little money spent on maintenance. ‘Millen Primary school has become the overflow school in Victoria Park,’ he said. He said the Department of Education owned land around the school, which means a new school could be built without any disruption to the existing school. Millen Primary School Parent and Citizens president Andrew Macpherson said the staff at the primary school were excellent and they needed a school that matched their efforts and catered for the broad demographic at the school. ‘If anything, it is the infrastructure that needs the most improvement and if that can be done with minimal disruption to the school then we would support it,’ he said. Mr Wyatt wants feedback on what people in the electorates want out of their local primary and high schools.